When he was a child, the parents of Pedro Monge Álvarez taught him to always look after his shoes. It was an ingrained habit born of honest values that became a simple pleasure for the northern Spaniard, now 38. The creator of MONGE shoes views the careful cleaning, polishing and treating of leather as something akin to therapy, and he shows his customers how, with proper care, their beloved new wardrobe additions can last a lifetime. 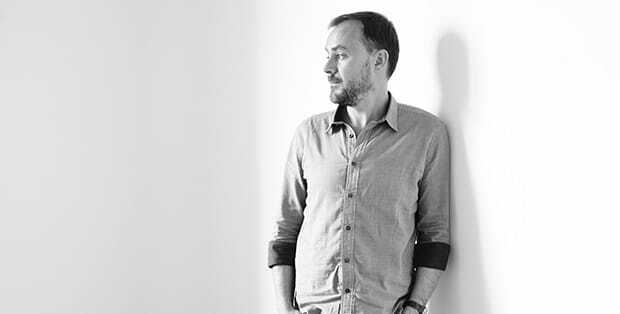 A former journalist who worked in the fashion industry before entering the marketing department of globally successful brand Camper, Pedro spent years chronicling the collections of talented designers before becoming one himself. 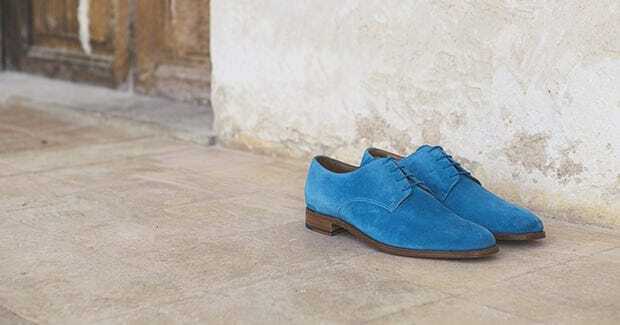 His brand fuses thoroughly modern flair with centuries-old Mallorcan craftsmanship; a marriage that is surely and steadily winning MONGE a place on the feet of erudite men in Europe and further afield. Entering the small studio on Palma’s Carrer de Colom, all antique wood and buffed leather aroma, the emphasis on profundity over sales figures is immediately apparent. Inspiration could come from anywhere: flea markets, something Pedro saw on the street that made him stop and take a picture; books and films. 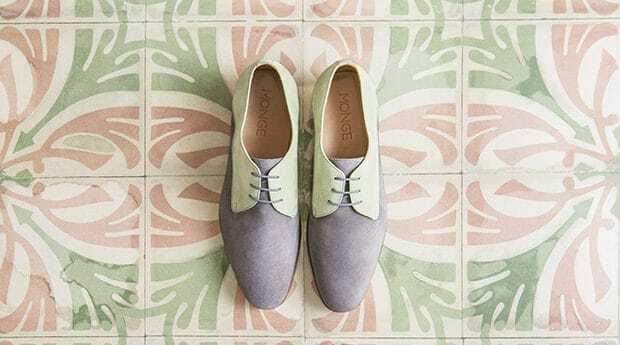 Once designed, the shoes are built in artisan workshops in Inca using finest materials such as softest calf leather, Harris Tweed brought in from Scotland and, for the summer espadrilles, traditional patterned ikat material. Upholding the evolution of Mallorca’s strong shoe-making heritage is something Pedro and his team are proud to be part of. Customers have the option of a bespoke service, their new shoes perfectly customised to their likings. Prices generally start at around 300 euros, well justified due to the level of detailing, and the feel-good experience that comes with wearing them. 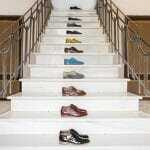 Taking into account the painstaking production of each single pair, delivery takes around a month. We’ve all seen him: the man at the party exuding effortless elegance in simple clothing set off by an exemplary pair of shoes. 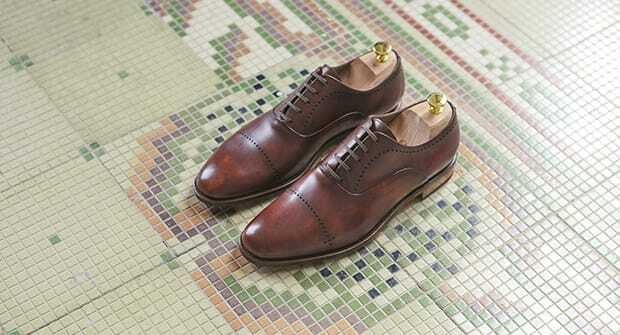 This is the approached epitomised by MONGE, maker of shoes that maketh the man. They say that good shoes take you good places. If this is the case, MONGE shoes take you great places. 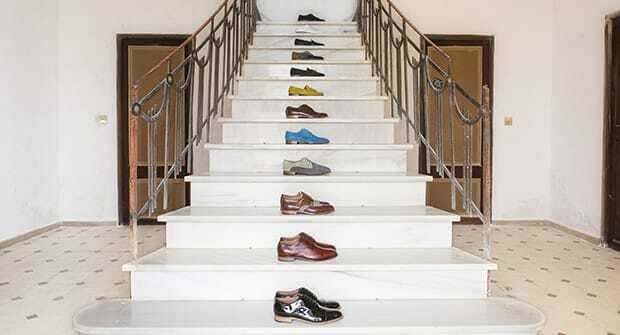 We hope you have found this article about the MONGE: shoes that make the man useful and that you have many memorable stays in Mallorca as a result of our recommendations.